Blast missiles or water from the Tidal Torpedo Bow! 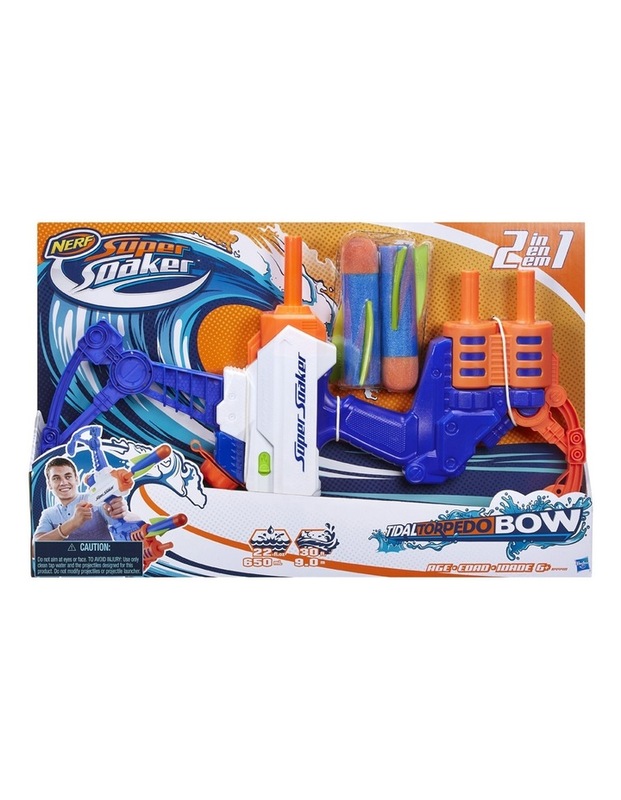 Surprise the competition with a soaking stream of water or a big foam missile. Dip the tip of the missile in water to deliver a watery missile blast. The Tidal Torpedo Bow shoots water up to 30 ft. (9 m) and can hold up to 650 mL of water. Comes with 2 foam missiles. 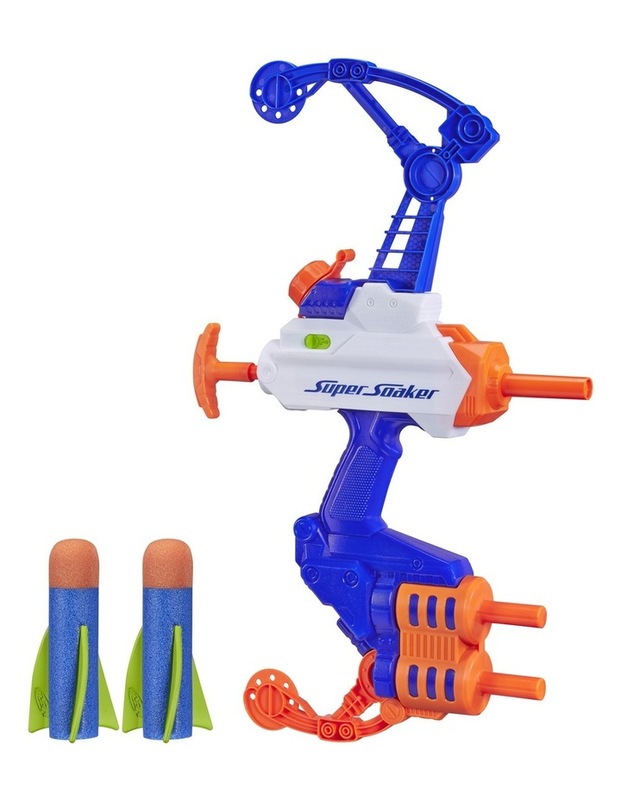 For innovative water-blasting fun, nothing soaks like a Super Soaker water blaster!